When Nintendo first announced it was going to introduce paid DLC, the upcoming Animal Crossing for the 3DS seemed like a perfect chance to nickel and dime players. Seemed like one, maybe, but it won't be one, says Nintendo. In a recent financial Q&A, Nintendo honcho Satoru Iwata talked about paid DLC and Animal Crossing, noting that the power of money could not only impact gameplay, but change it, perhaps even making the experience, as Iwata called it, "unwholesome". 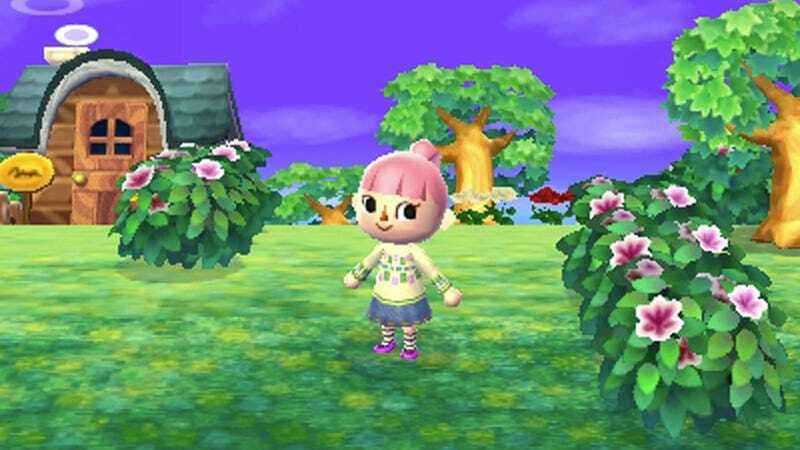 Iwata frequently discussed the issue with the Animal Crossing team, and can now say, "That sort of element [paid DLC] is absolutely not being added." Fantastic news for Animal Crossing players, who might have been worried that Nintendo would turn AC into some sort of paid add-on nightmare. Previously, Iwata told Kotaku that Nintendo didn't want gamers to feel "cheated or deceived" by DLC, adding that the paid experience should add to the experience and not detract from it.